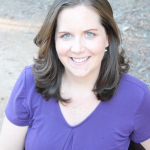 Over the next year, I'll be revisiting some of my favorite (and most popular) posts from the last (almost) 5 years of blogging. 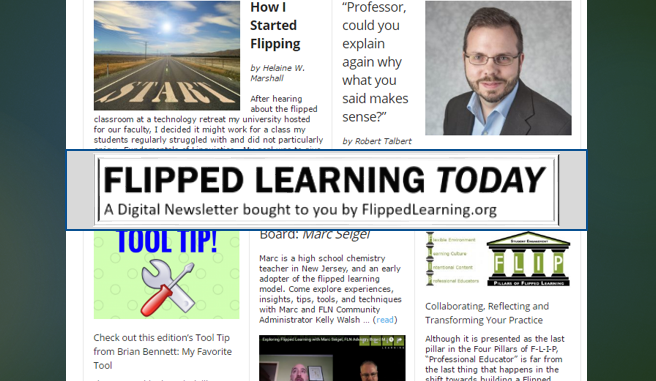 I hope to add extra insight and reflection to these posts from my experiences both in my classroom and in training and coaching other teachers with flipped learning. 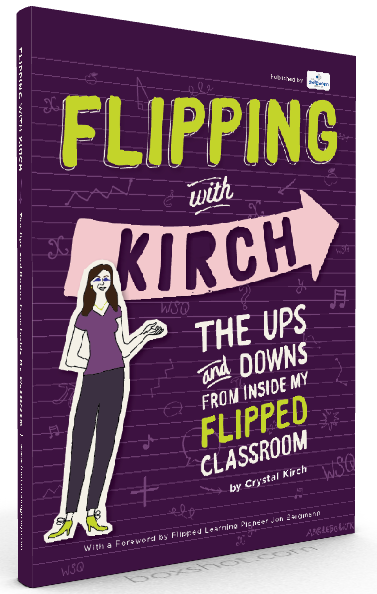 If you are interested in learning more about the WSQ strategy, I recommend that you check out Flipping with Kirch: The Ups and Downs from Inside my Flipped Classroom. The last post described a bit about class time structure. This post in this series will delve a little deeper into what I called the “WSQ Chat”. 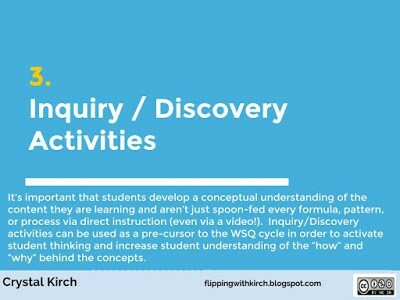 Check out my slide deck from “Winning WSQ Chats” (embedded below) for a visual journey, or scroll past the slide show for a quick overview of my 5 favorite types of WSQ chats. 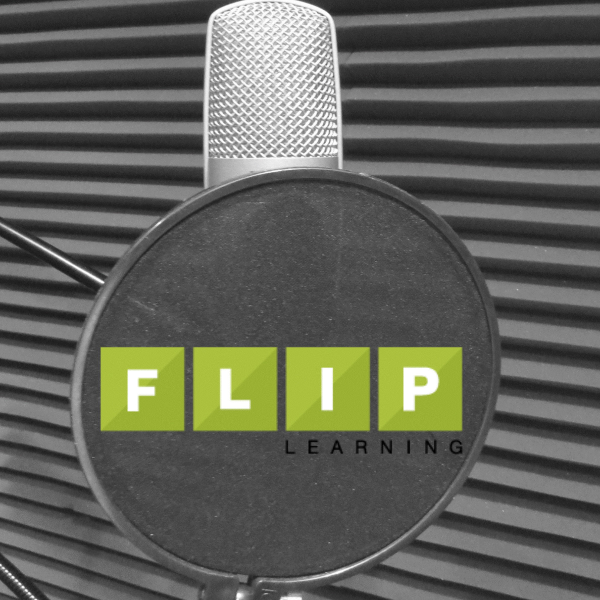 Traditional group discussions is how I started my entire first year flipping. Then I realized there were more ways for the students to "discuss" and have conversations about the material than simply giving them a time limit and prompts to talk about. 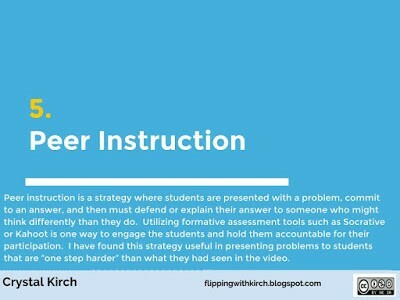 While this is still a valuable strategy, I would encourage using it in conjuction with several of the other strategies below. 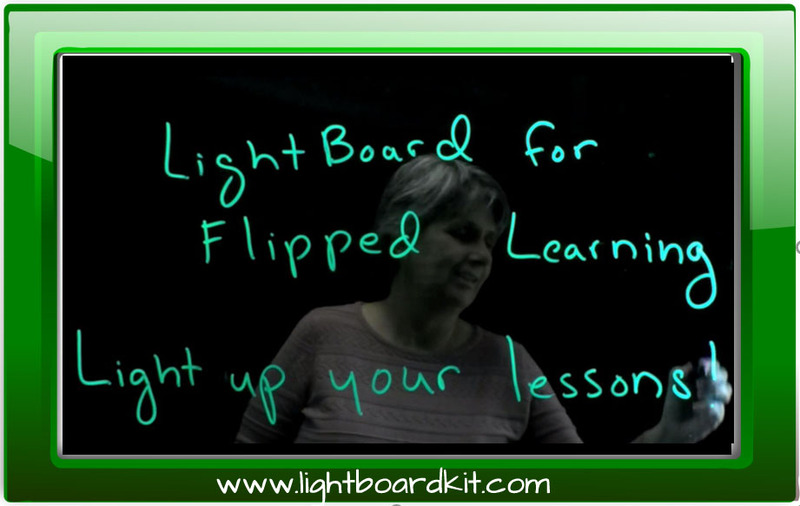 I love discussion activities that also get students up on their feet and moving around. 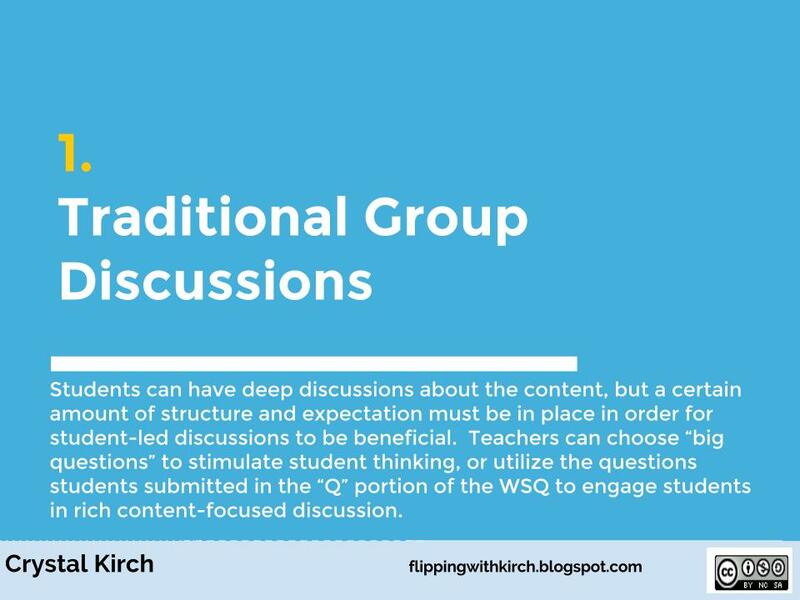 Whether this be card sorts / card chains or having the students physically represent a concept to gauge their understanding, these type of WSQ chats are enjoyable, often competitive, yet lead to natural and deep academic conversation. 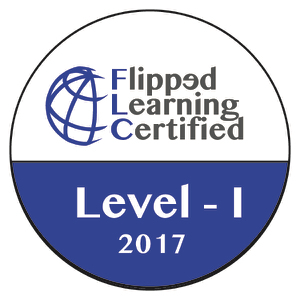 I became a huge fan of inquiry / discovery activities as I realized I had a little more time to do so with the flipped classroom! I also shifted pedagogically to value student construction of ideas and inquiry instead of simply feeding them everything from the get go. 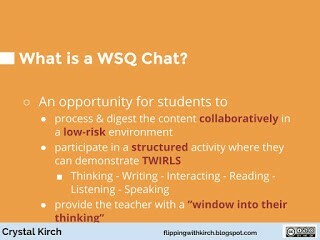 These WSQ chat activities are unique in that they fall in a different place in the flipped learning cycle (before the video) than normal WSQ chats. 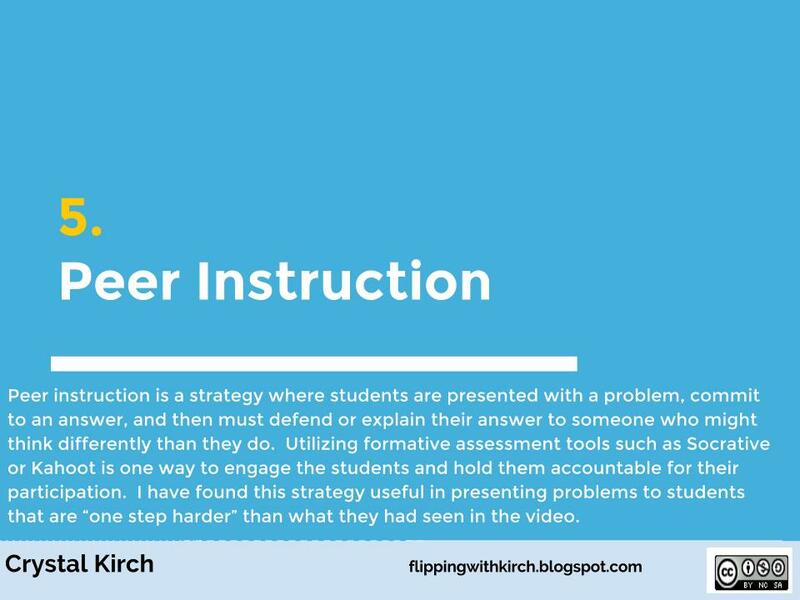 They also require a lot of forethought on the part of the teacher in terms of what type of scaffolding the students will need and what probing questions will be asked throughout the activity. 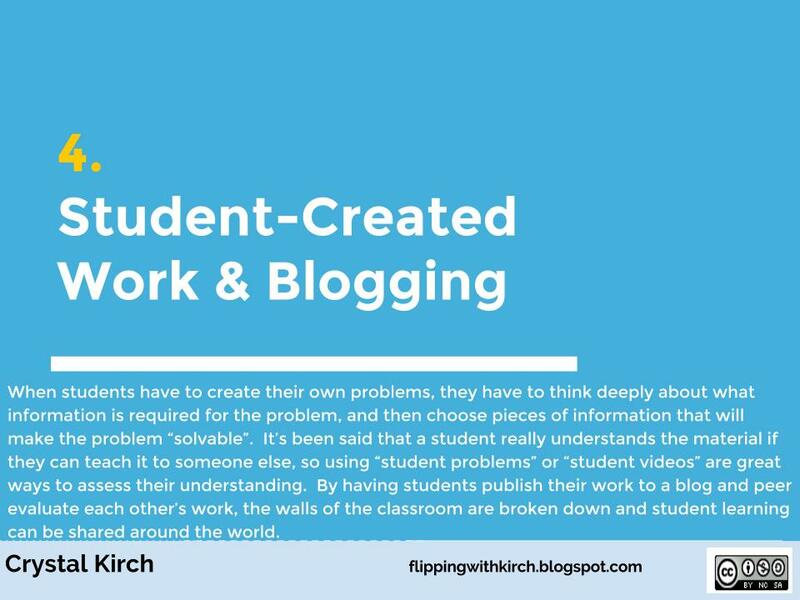 Student blogging and creation became one of my favorite things that I could do after I flipped my classroom. I found that if students had to write their own math problems, and then either record them on video or put it together neatly in a sequence of pictures, it really helped deepen their understanding of the concept and their ability to explain their thinking. In addition, when their work is published to the world, it "ups the ante" a little bit in terms of quality and attention to detail. Lastly, what a great opportunity for students to do some peer evaluation and critique on each other's blog posts and created work! 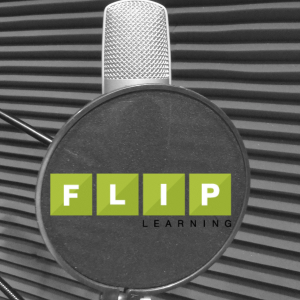 I learned about Peer Instruction at FlipCon one year (I think...) and instantly fell in love. While I may do it slightly different than the "real" Peer Instruction, it's still such a valuable method for WSQ Chats. 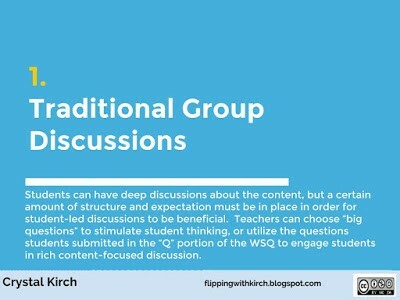 It's a little different than the others in that it's much more teacher-guided, but it still allows for great discussion amongst students and leads to deeper understanding - which are the goals of WSQ chats! There are 27 specific WSQ chat ideas in my book (bit.ly/FWKirchBook) and I'm sure more I can think of since it's been published. Don't get locked in a box! 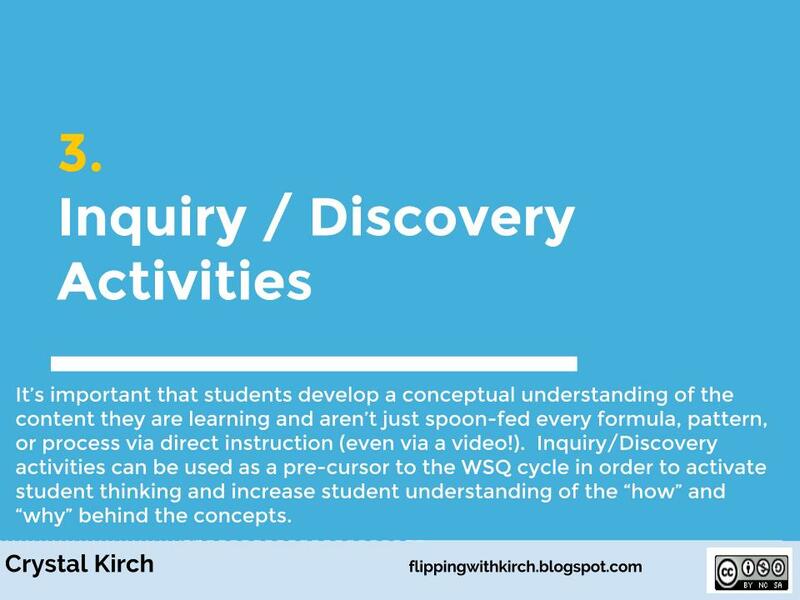 Students need and like variety to keep them engaged in purposeful discussion activities that will solidify and deepen their understanding of the material. 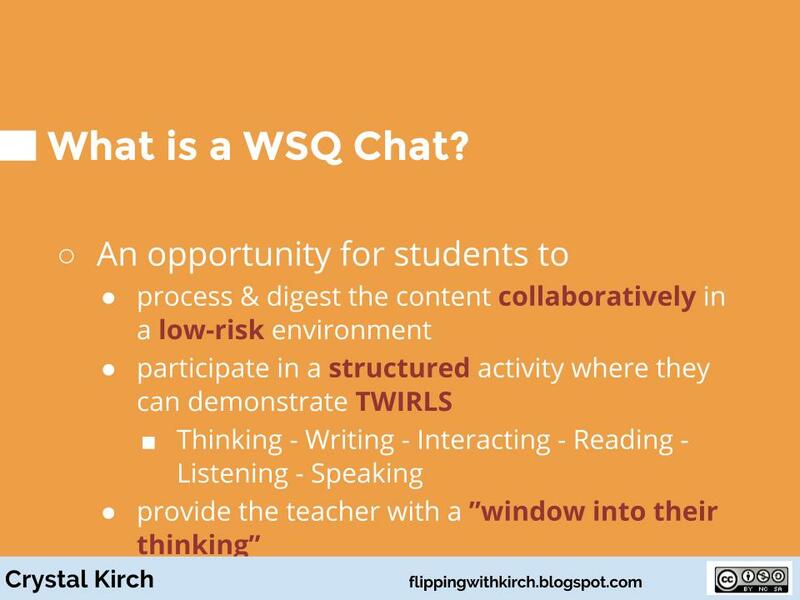 I’d love to hear how you use a “WSQ Chat” in your classroom - comment below and share!